Prime Minister Nguyen Xuan Phuc underlined the importance of building a resolution on key socio-economic tasks and solutions in 2018 at a cabinet meeting in Hanoi on December 1. He said there is only a month left in 2017 and the workload is still very heavy. 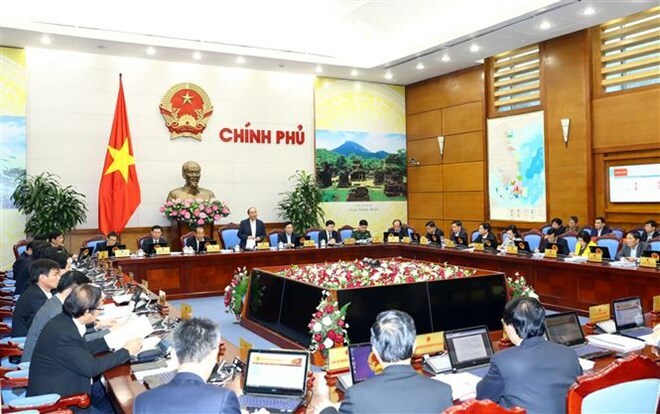 The PM requested ministries, departments and localities to closely follow objectives outlined by the 12th Central Committee of the Communist Party of Vietnam (CPV) as well as the conclusion of CPV General Secretary Nguyen Phu Trong and the National Assembly’s Resolution on socio-economic development in 2018. He asked cabinet members to consider solutions to prevent corruption and wastefulness along with issues relating to culture, security and national defence. He also expressed concern over the unsynchronised political system and called for positive changes at the grassroots level. In November, Vietnam suffered from devastating natural disasters, including Typhoon Damrey that wreaked havocs across nine central localities, especially Khanh Hoa and Phu Yen. The storm killed 45 people and damaged property, he noted, asking ministries, sectors, organisations and localities to continue to support the disaster’s victims. Meanwhile, the PM pointed out that in November and the first 11 months of this year, the macro-economy remained stable, with inflation controlled and economic balance ensured. The consumer price index rose 0.13 percent in November and 3.14 percent in January-November. In the 11 months industrial production increased, with a 17.2 percent rise recorded in November, while total goods and services revenue increased 10.7 percent year on year. Foreign arrivals reached 1.17 million in November, pushing the total figure this year to 11.65 million, up 27.8 percent against the same period last year. At the same time, foreign investment hit 19.8 billion USD, up 52 percent, along with 33.1 billion USD of capital to purchase shares in State-owned enterprises, a rise of 23.4 percent. Notably, exports grew to hit nearly 194 billion USD, up 21 percent, with the highest rise recorded in agricultural products such as vegetables (43.2 percent), rubber (38.9 percent), cashew (23.2 percent) and seafood (16.2 percent). 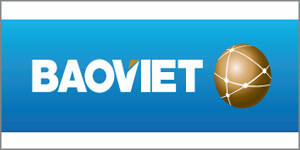 The country enjoyed a 2.8 billion USD in trade surplus, noted PM Phuc. Total budget collection recorded impressive growth at 14.2 percent, he added. The Prime Minister highlighted that 116,000 new enterprises were set up in the 11 months, with the figure likely to hit 120,000 for the year. Positive developments were also seen in culture, society, environment, defence and security areas, he said. At the meeting, cabinet members will discuss a report on four Government draft resolutions on issuing an action programme to implement resolutions adopted at the sixth session of the 12th CPV Central Committee. They will also hear proposals about building draft revised laws relating to land, construction, accommodation, environment, investment, businesses, and social welfare. The Government will give opinions on a report on the five-year implementation of the national strategy on human resources development in 2010-2020, the public investment restructuring plan in 2016-2020 and the mid-term public investment scheme issued in September 2015.